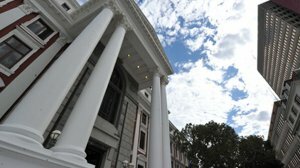 Parliament's Joint Constitutional Review Committee on Wednesday dismissed as “fake news” reports on social media that warn non-South African citizens who own property in the country that they will be affected by the land expropriation process. A WhatsApp message is spreading false claims that land owned by non-South Africans will be taken away under land expropriation, with owners able to apply to government for a 25-year lease to stay on their land. Regarding the misleading information about leasing your own land from government, committee co-chairperson Vincent Smith asserted that the claims were untrue. Co-chairperson of the committee Lewis Nzimande cautioned against fake news that created the impression that South Africa was xenophobic and added that such news also undermined the committee’s work. The constitutional review committee was mandated by the National Assembly and the National Council of Provinces to propose the necessary constitutional amendments, where applicable, with regards to the future land tenure regime needed. “We are definitely not targeting foreigners in South Africa. This type of fake news can lead to all sorts of criminality. It can also lead to a downturn in foreign investment, which is critical for our development. At this point, we are just establishing whether Section 25 of the Constitution is in need of any amendment,” explained Nzimande. The committee is calling for written public submissions on whether Section 25 of the Constitution, which deals with property, allows for the State to expropriate land in the public interest without compensation and if not whether and how the Constitution should be amended to enable such. The date for written submission has been extended to Friday, 15 June 2018. Submissions and an indication to make oral presentation must be sent to Pat Jayiya via email pjayiya@parliament.gov.za or telephonically 021 403 3661. “No mechanism, criteria or conditionality has been established for land that is to be expropriated. That is all part of what we are currently looking into. We would like to discourage these types of messages that create confusion and fear in our people,” Smith concluded.